6.9 out of 10 based on 181 verified user reviews via Agoda. Aurora Resort Chiang Dao is a popular choice amongst travelers in Chiang Dao, whether exploring or just passing through. Offering a variety of facilities and services, the hotel provides all you need for a good night's sleep. 24-hour front desk, luggage storage, Wi-Fi in public areas, car park, airport transfer are there for guest's enjoyment. All rooms are designed and decorated to make guests feel right at home, and some rooms come with television LCD/plasma screen, clothes rack, free welcome drink, mirror, towels. Enjoy the hotel's recreational facilities, including garden, before retiring to your room for a well-deserved rest. 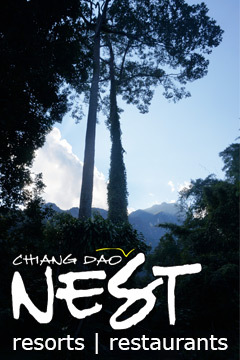 Discover all Chiang Dao has to offer by making Aurora Resort Chiang Dao your base. Aurora Resort Chiang Dao - Chiang Dao classifies itself as a 3 star hotel.